When to Apply for Social Security Disability Benefits | Johnson & Gilbert, P. A. 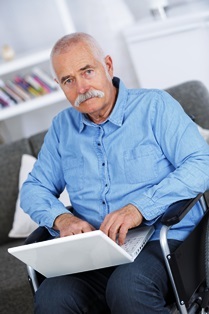 How long should I wait before applying for Social Security disability benefits? It can be difficult to know at what point you should attempt to claim disability benefits. The Social Security Administration (SSA) doesn't provide short-term disability payments, so claimants are expected to be out of work for 12 months or longer to qualify for benefits. However, it's usually better for disabled workers to apply for Social Security disability benefits as soon as possible, even if they're not sure if their injury will last more than a year. Social Security disability claims can take several months or even a year to process, forcing disabled claimants to live on an extremely tight budget while they wait for a decision. The good news is that if benefits are approved, the SSA will issue a payment for each month you're disabled—including many of the months you were waiting for a decision. The SSA provides up to 12 months of past-due disability benefits, also known as back pay, in one lump sum payment. Date of application. Applicants are eligible to receive benefits back to their date of application, or even in the year prior to application if they were disabled for 12 months before claiming benefits. Medical onset date. Some applicants will have a different established onset date (EOD) than the day they actually became disabled, known as the medical onset date (MOD). The medical onset date is the date your impairment first met the medical criteria for the SSA’s definition of disability. Established onset date. The EOD is the date that the SSA acknowledges as the beginning date of your disability. Generally, it's the date determined after considering all of the medical and non-medical factors surrounding your disability. If your EOD is before your application date or before your approval for benefits was issued, you should be eligible to receive back pay. Mandatory waiting period. The SSA has an automatic five full month waiting period after your EOD on all benefit applications. If you're approved, you'll receive benefits back to your eligible disability date, minus the waiting period. So for example, if your EOD is February 12, your benefits will start after the waiting period on August 1. If you're unable to work and have paid into Social Security during your past employment, you may be eligible to receive disability benefits. Simply fill out the quick contact form on this page today to schedule a consultation with our Social Security attorneys at no cost to you.